has anyone tried the Joe Rocket Super Streets? or have any other suggestions? 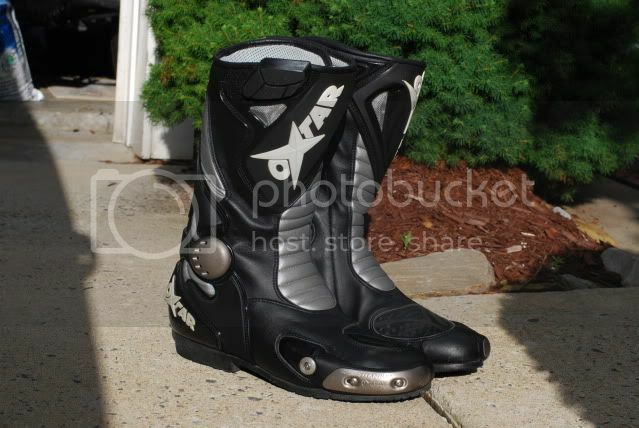 Sellin my Sidi Streetburners if you're interested. Love 'em but I just got a pair of track boots so i don't need 'em. Worn 'em only like 10 times max. Alpine SMX-5. The Sidi boot in that price range (forgot the name) felt a little narrower in the same size. Just some FYI if you have to order online. Also like the SMX-2 for price/feature as a street boot. I've got Oxtar TCS boots size 45 that I will sell if interested. Not sure this is what your looking for? Last edited by Speed3; June 17, 2010 at 05:53 PM..